It's safe to say that if people in Winnipeg didn't know Henry was in town shooting Nomis, they do now. His video during a blizzard from the set of the film pretty much guaranteed that. Add a crushworthy Kal and a red rose and voilà! I need to stop dressing like a slob. Henry Cavill is in Winnipeg and every girl needs to look nice for her surprise engagement photos. SUPERMAN IS IN WINNIPEG GUYS. NOT A DRILL. The latest update from the cast and crew, had Nathan Fillion freezing on set. GET ME OUT OF HERE!!!!!!! And today Alex Daddario was still seeing penguins (we're not sure if these ones are local though). It seems like everyone involved with Nomis is super excited about the movie. UPDATE: We have a first look at Stanley Tucci in Canada. Thanks Nate! 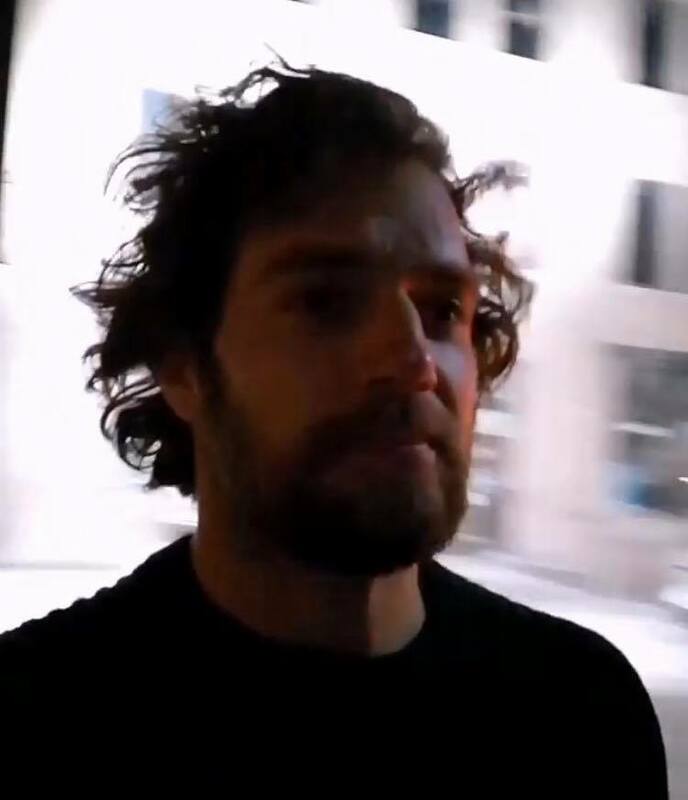 Wow wish i was there but im not so thanks for sharing your joy with me on see and meet henry cavill..
Lol, hope Henry took his bodyguards with him! These days, he can't go anywhere without getting noticed and possibly chased! LOL! I don't know about that, Henry has been there for a few weeks and hasn't been noticed LOL! Maybe now that the press talked about it fans will start looking and now he'll be noticed LOL! I'm glad everyone is having a great time and I hope they are all staying warm :) -29 burrrr!!!! Well, they aren't super fans like us, or they would have known months ahead of time. LOL. Although, with Nomis short filming schedule, I am not that surprised he has gone relatively unnoticed. Probably isn't getting out a whole lot, especially with that weather. Right Joy?!?! Thanks to HCN us fans know ages ago Henry was in Winnipeg :) and have been cheering him on since :) can't wait for more updates from Henry on the set! Stay warm everyone and have a great weekend! Very funny (and cute, too) comments above about internally screaming and thinking about not dressing like a slob! Do you guys know where they film this weekend(11-12 March)?